This is our upcoming series of stories and interviews with individuals, teams and projects that inspire us in their various aspects of interactions with landscapes of food. Food is poetry, friendship, memory, ceremony, energy, medicine, life sustaining process. Food is a conversation. Between people and nature, seasons and landscape, a tribute to the passing of time and shifting cycles, to attention and listening, to sustainability and care. Food is a relationship. Agricultural, economical, and cultural. 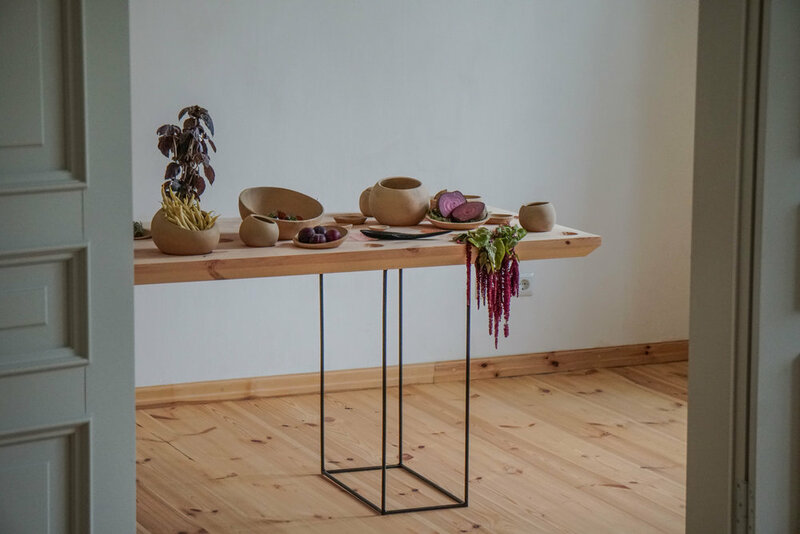 A relationship between arts, crafts and technology — meeting in crockery, cutlery, and all the tools we use when planting, harvesting, eating and interacting with food. Food is human connection. Between those who grow and those who receive, between societies economically and culturally, between generations spoken through stories and ancestral recipes. It’s a connection between those eating together, and a connection to ourselves, to our own senses, and embodied experiences. Food is an important subject to us. It is also an inherent part of our immersive experience series “Woods in the City”. Food is an expression of human creativity and Earth’s biodiversity, it’s a path towards renewal of local economies and the conviviality of place-based communities.